A verse-by-verse journey through the Bible! Would you be interested in coming? We meet on the corner of Henry St. and Lr. 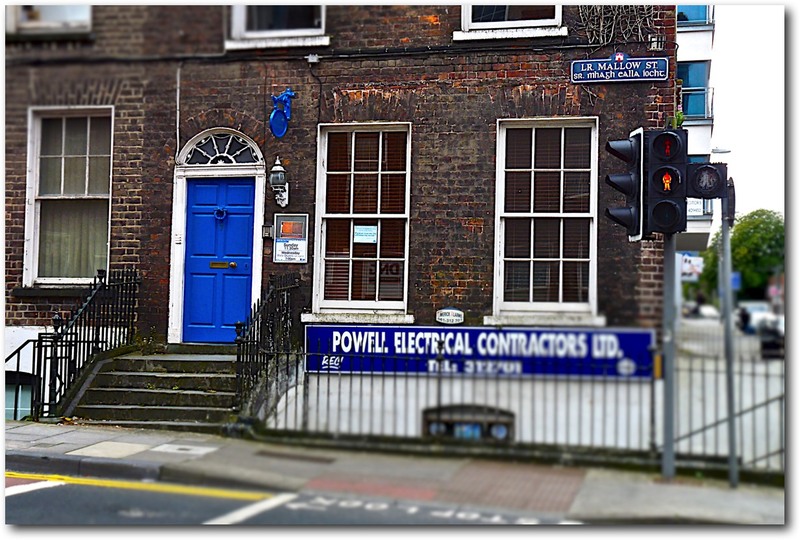 Mallow St., diagonally across from Spar. 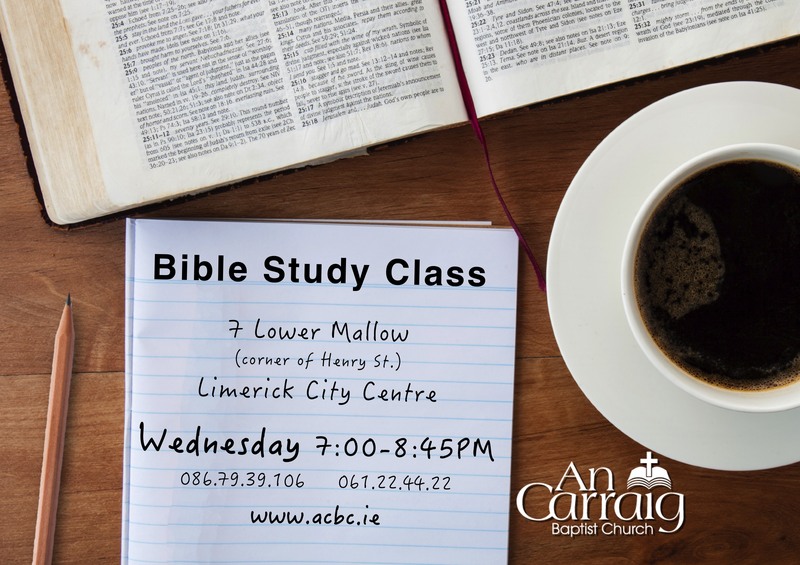 An Carraig Bible Study endeavour to apply the truths of the Bible to our lives, and especially learn from the life of Jesus Christ. 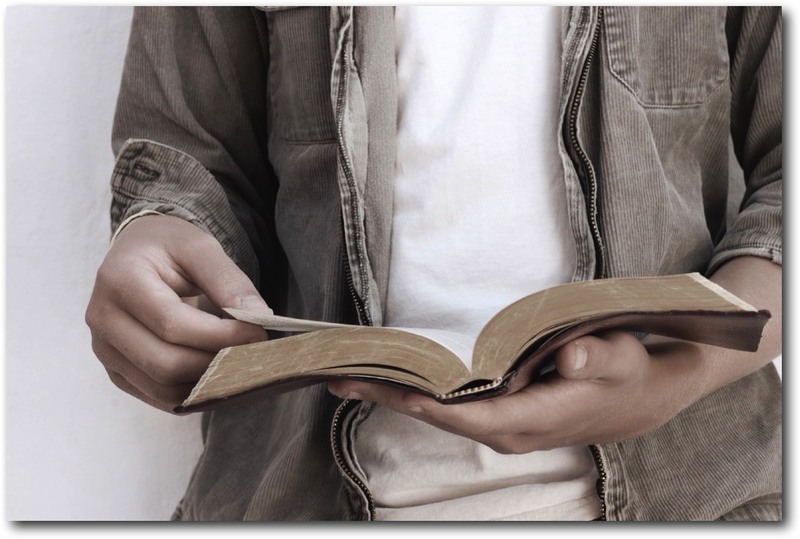 In this weekly adult Bible study, we study verse-by-verse with an open Bible. What this means is, you will not be getting a personal opinion, private interpretation, or a summary of the Bible. Instead, you will discover exactly what the Bible says. Each Wednesday we study verse-by-verse through a book of the Bible. Chances are you have passed us recently when you were in Limerick City centre. We are conveniently located on Lr. Mallow St., at the traffic light, on the corner of Henry St., diagonal from Spar. There is free parking on the street during all of our meetings. 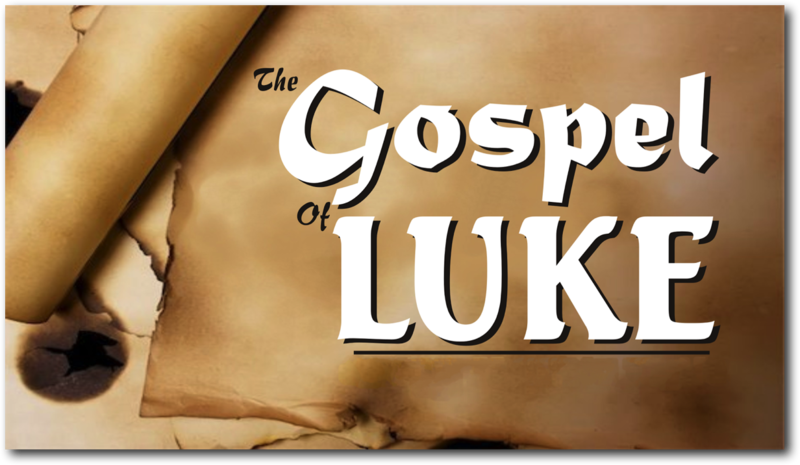 On 19 January 2017 we began our verse-by-verse study in the Gospel of Luke. This book details the life of Jesus Christ. 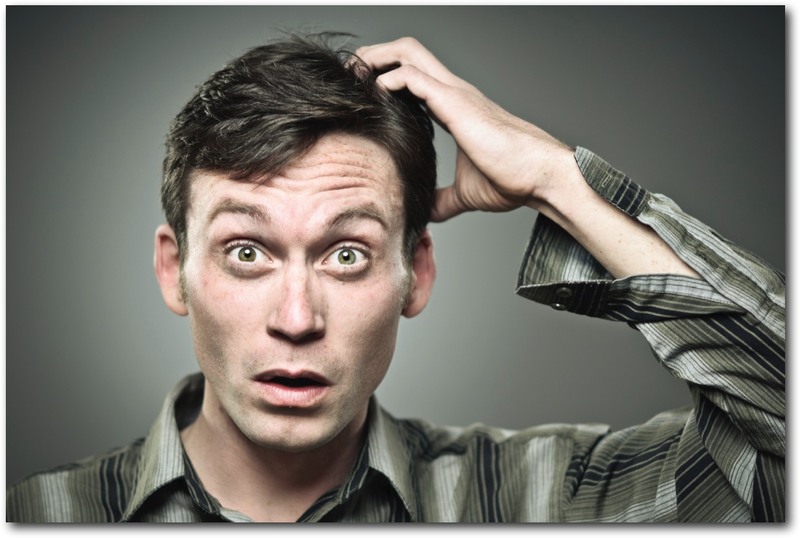 "That thou mightest know the certainty of those things,…” Luke 1:4 You won’t want to miss it! We don’t use study books, instead we read directly from the Bible. Our Bible studies are verse-by-verse in an open Bible, so you can read and experience exactly what the Bible says, in context. It is written to be read and easier to understand than many think. You’re welcome to visit and discover the difference. 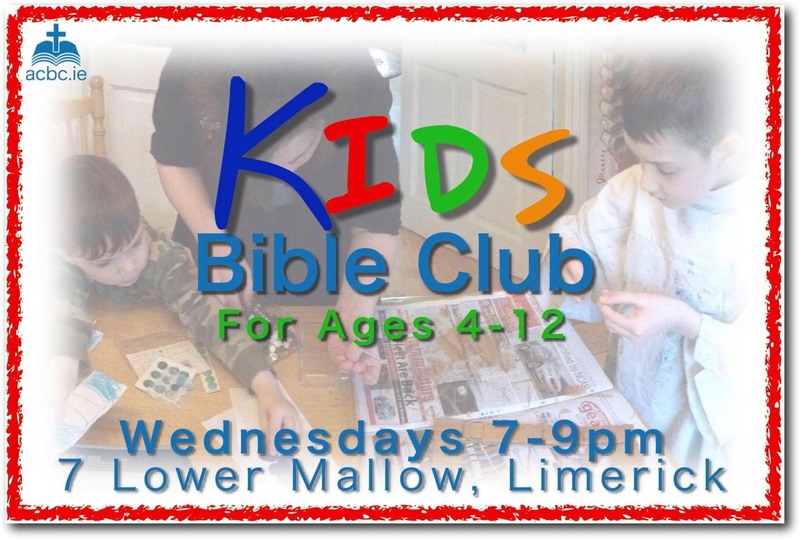 For ages 4-12, we offer an exciting Kids Bible Club. They will learn the Bible in an exciting, fun and friendly atmosphere, with crafts, activities, games, and delicious snacks. Mum and dad can enjoy the Bible study while the children are learning as well. We recently finished our verse-by-verse study in the book of James. For a limited time we are making it available for download. 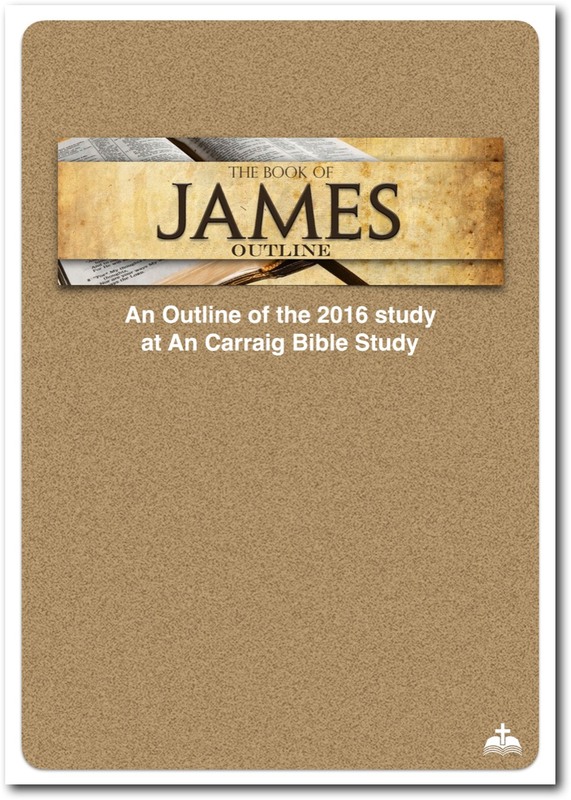 This PDF file contains chapter-by-chapter descriptions of James. No cost. Do you have questions or concerns? Please feel free to contact us by email, text, or phone. Possibly you may also find your answer on our FAQ page. If you have a desire to read for yourself and actually know what God says in the Bible, you should join us! God wrote things that every person needs to know. Understanding of the Holy Bible is not only for a select few - discover the treasures of truth that God has written down for us! This guided weekly study will help you learn for yourself, and grow in faith. Your efforts will be worth the while because it will feed that invisible part of you, called your soul. If you are hungry for more than the TV and social networking have on offer, then it is time to come out to an open Bible study that will make a real difference in your life. Simply call by, find a seat, and learn with us. There is no cost. Each week we also offer complimentary tea and biscuits. *Join us for our Sunday Meetings.